Atlanta, IL’s Bill Thomas is the chairperson for “Route 66: Road Ahead Partnership“, which is striving to bring together Route 66 stakeholders from around the country in an effort to create a interstate base of support for the growth and renewal of the historic highway. Bill will also give an update on HR 801- The Route 66 National Historic Trail Designation Act. Prior to joining the Department of Commerce, Chris worked as an independent consultant, providing strategic planning and tactical support to a wide variety of corporate, association and political clients, including public affairs; event planning; grassroots engagement; management; compliance; earned and paid media strategies. Chris has served in lead management roles throughout her career including Special Assistant to U.S. Secretary of Labor Lynn Martin in the Office of Congressional and Intergovernmental Affairs. She also worked in senior management and advisor roles for Congressman Fred Grandy, Illinois Comptroller Judy Baar Topinka, U.S. Senator Dan Coats, and Illinois State Senator Karen McConnaughay. Chris is an alumna of the sketch comedy television program Beyond Our Control, a recipient of the Chicago International Film Festival’s Hugo Award (Television). She is frequently called upon by the media, universities, domestic and international government interest organizations to share her expertise on government, public policy and leadership roles for women. Chris currently serves on the Board of Directors of Chicago Women in Government Relations and the Illinois Executive Mansion Association. She also served on the boards for the Illinois Arts Council, Shattered Globe Theatre, Maggie’s List, The Lincoln Excellence in Public Service Series (President Emeritus), and the Government Assistance Program (GAP). In recognition of her dedication to preparing women for government and public policy positions, Chris received the Richard G. Lugar Excellence in Public Service Series National Coalition Iron Jawed Angel Award, and she was recognized amongst the Princeton Illinois’ Freedom House Gallery of Hero and Heroines. Chris attended Indiana University and currently resides in Chicago, Illinois. Louis Ferrara joined the Illinois Department of Commerce as Assistant Deputy Director of the Film Office in September, 2016. Louis brings with him an unconditional optimism and unbridled passion for filmed entertainment, with the goal of continuing to create economic opportunities for the people of Illinois and the many businesses that support the creative arts economy in the State of Illinois. Louis has acquired considerable experience in film and television production and development and at A-list literary and talent agencies since graduating from New York University with a concentration in Dramatic Literature, Theatre History and Cinema Studies. From there, wishing to expand his knowledge of the business aspect of entertainment, Ferrara accepted a position as Assistant to the Head of Television Literary at the venerable William Morris Agency, where he eventually transitioned to work for the Senior Vice President of Motion Picture Literary. Once the merger of William Morris and Endeavor was complete Ferrara joined the innovative United Talent Agency, where he transitioned again from Motion Picture Literary to Talent. He and his family reside in Chicago. Lorin Schab has been a volunteer interpreter at the US Forest Service’s Midewin National Tallgrass Prairie for the past 16 years. He is the president of the Midewin Heritage Association and is a Certified Interpretive Guide with the National Association for Interpretation. He is involved in research on the early settlers and farmers who lived on the land that today is Midewin, in support of Midewin’s Heritage Program. He often uses this information to make first person presentations, bringing history alive, as he portrays local farmers and Civil War soldiers. He is active in Midewin’s archeological excavation activities and the US Forest Service Passport-in-Time program. Annually Lorin conducts numerous public tours at Midewin, discussing those former land owners, as well as the 60 year history of the Joliet Army Ammunition Plant, and how it eventually became Midewin. Interlaced in these presentations is the story of how transportation in the region grew, including the Illinois and Michigan Canal, the Chicago Alton Railroad, and highways such Route 66. 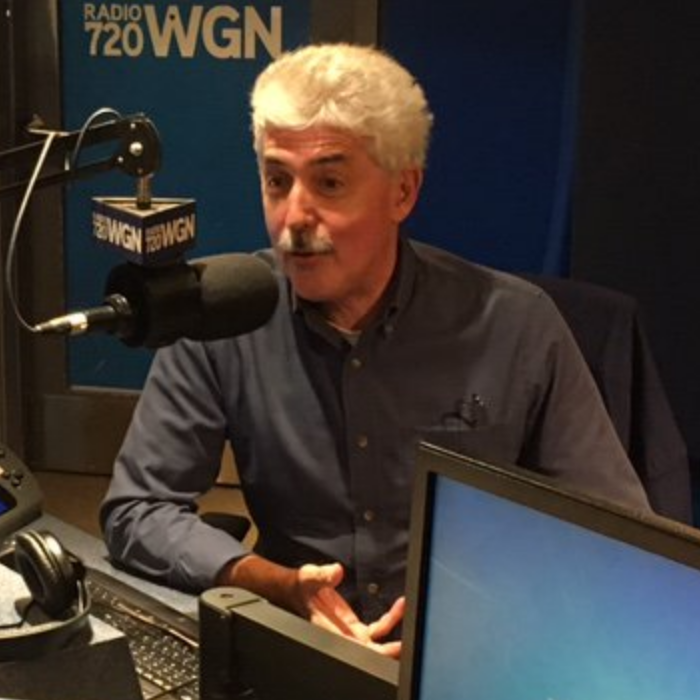 John will discuss the historic preservation efforts in Illinois, which he has led since 1993 as Chairman of the Preservation Committee of the Illinois Route 66 Association of Illinois. Along with his large group of dedicated volunteers, he is responsible for physically restoring, maintaining and participating in dozens of large and small preservation projects. He has been actively involved with Route 66 since 1989. John was inducted into the Illinois Route 66 Association of Illinois Hall of Fame and received the Ambassador award. He has also been honored with the John Steinbeck award and been inducted into the Kingman, Arizona, Walk of Fame. 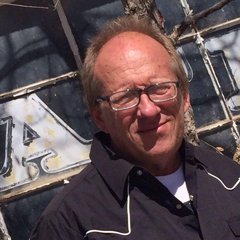 John is the author of three books pertaining to Route 66. Now retired, he spends his time on preservation projects, giving talks, and conducting bus tours of Route 66. John will be our tour guide on Thursday October 19th as we tour the Joliet area and beyond. Geoff formed a non-profit organization in 2006 to save and restore The Mill restaurant in Lincoln, Illinois, at the urging of Ernie Edwards of Pig Hip Restaurant fame. The Route 66 Heritage Foundation of Logan County was able to save this historic landmark located along the original alignment of Route 66 in Lincoln, and on April 29, 2017, The Mill opened as a Route 66 museum and souvenir shop. Geoff is the Program Manager for the Illinois Route 66 Scenic Byway and part-time professor at Heartland Community College. Geoff was the founding member and is now secretary and past president of the Route 66 Heritage Foundation of Logan County. Previously, he was executive director of the Abraham Lincoln Tourism Bureau of Logan County, assistant director for Jacksonville Area CVB, board member and past president of Illinois Route 66 Scenic Byway, and Logan County representative for Route 66 Association of Illinois. Geoff received the Route 66 Association of Illinois President’s Award in 2013. Joe was the leader of the 70’s pop group “Solid Gold.” They released an album, “Solid Gold 50’s” for K-Tel and had a top 30’s chart hit with “My Share Of The Sidewalk” written by Michael Nesmith of the Monkees. Solid Gold performed regularly on the rising stage at Disneyland and at the Golden Nugget in Las Vegas. They opened for Willie Nelson, Waylon Jennings, Paul Anka and others. Joe was nominated ‘Spoken Word’ Producer of the Year by AFIM Indy Awards. He has won multiple Silver Microphone and Crystal Jade awards. He won the Early Childhood News Directors Choice award for his creative writing. His “Abraham Lincoln Logues” book was voted as a top ten children’s book by Chicago Parent Magazine and is now available in Ford’s Theater in Washington, D.C. He also received a platinum album for Garth Brooks, “No Fences,” for his special effects on “The Thunder Rolls”. Playing in the band The Road Crew, Joe is an ambassador for the Mother Road, spreading its legend through music. But that’s not Joe’s only involvement with Route 66, and his memories of this famous highway go all the way back to his early childhood. Born in Maplewood Missouri, just blocks from Route 66, his family would travel the Mother Road often going to see family in California. Loesch says that the attractions of 66 were every bit as exciting as their destination. Ron Romero is Chairman of the Board and creator of “Illinois Rock & Roll Museum on Route 66” which is a Not for Profit organization and upcoming museum. Ron is also owner of Stage Right Productions since 2000, a live event production company, providing sound and lighting for concerts and corporate events. Ron is an entrepreneur and has owned a computer technology company, an internet provider company and has been a real estate investor. He studied technical theater at Joliet Junior College and is still a performing bass player and singer with Acoustic Avenue and the Names which features touring members of some well known 60s bands. Ellie has been the Director of Tourism for the City of Pontiac, Illinois since 2005 after serving in various chamber of commerce and hospitality industry positions, primarily in the Chicago-land area. She is a Certified Travel Industry Specialist and serves on the board of the Illinois Route 66 Scenic Byway and the Route 66 Red Carpet Corridor Committee. In her current position, Ellie has been the driving force behind the remarkable growth in tourism in the City of Pontiac. Pontiac has seen its visitor count rise consistently since the opening of their first attraction, The Illinois Route 66 Hall of Fame and Museum in 2004. Pontiac (IL) Tourism. Jim Hinckley is the author of eighteen books including The Route 66 Enclyclopedia, Ghost Towns of the West, Route 66: Americas’ Longest Small Town, 100 things to See on Route 66 Before You Die, and Backroads of Arizona. He is also the creator of Jim Hinkley’s America, a diverse platform for the promotion of travel on the two-lane highways and backroads of America that includes a video series, blog, international presentations, tours and podcast. He also serves as a marketing and promotional consultant for Grand Canyon Caverns and the Route 66 Association of Kingman, and is cofounder of the Promote Kingman and Promote Route 66 initiatives. After Acceptance to the Route 66 Road Ahead Partnership economic development committee, Hinckley began making presentations on heritage tourism and its role in economic development and historic district revitalization. Bill and Jane will discuss the history of advertising art in the US and how the Walldogs continued that tradition and how the Walldog movement evolved, making a big difference in the towns that have welcomed public art into their communities. Bill is a graduate of Pontiac High School, Northern Illinois University and received his masters at Penn State where he also taught painting and drawing. Jane is a graduate of Flanagan High School and Illinois State University and she taught K-12 art in several local schools until joining Bill full time in the sign business. Bill and Jane Diaz have operated their own business on Route 66 since 1979. Their sons now are in business with them and all four have been Walldogs since 1993, at the very first meet. In 2009, the Diaz family helped organize a Walldog Mural Festival in their hometown of Pontiac, Illinois, which hosted 150 mural artists. Seventeen murals were hand painted in only four days! Shortly after saying goodbye to all of their Walldog friends that summer, they were awarded the Citizen(s) of the Year award, were Parade Marshals for the Threshermen’s Parade, and received the Illinois State Studs Terkel Humanities Service Award. This year Bill is being awarded the Distinguished Alumni at Pontiac Township High School. Cheryl will discuss how various women made their mark on Route 66, how women’s Route 66 history is evolving, and why it is important. She’ll share stories of women who blazed trails in traditionally – male careers, wives who gained fame as the female influence in mom ‘n pop hospitality businesses, and a few outlaws, free spirits and others on the fringe of society. Cheryl is the author of six books for Arcadia Publishing and is currently working on the tentatively titled Women of Route 66 and TheirContributions to the Culture of The Mother Road, with several other book projects on the back burner. A regular contributor to Show Me Route 66, The 66 News, and the Prairie Land Buzz, she has also been published in numerous other magazines and newspapers. She is also an award-winning author of short fiction. Among her volunteer tourism and preservation work, Cheryl serves on the Illinois Route 66 Scenic Byway board of directors and as President of the (Illinois Route 66) Blue Carpet Corridor Coalition. In 2000, she was a founding board member of Illinois Chapter of the Trail of Tears Association. She holds a master’s degree in history from Southern Illinois Univeristy Edwardsville and is retired from a varied career including music teacher and nonprofit executive director. In 2015, she established the first Miles of Possibility Route 66 Conference (in Edwardsville, IL) and served as its director. David is an award-winning author of three books, dozens of magazines, and journal articles focusing on historic subjects. His book Route 66 in Chicago won first place in the Illinois Women’s Press Association communication contest. Doing business as WindyCityRoadWarrior.com, David offers PowerPoint presentations on a variety of historic subjects, and he is a tour guide offering walking tours in the Chicago Loop featering Chicago’s architecture, history, and transportation. Partnering with InSites-to-Go, David also offers guided, narrated motor coach tours of Route 66 and other iconic highways and destinations in the Chicagoland area. A Stage Show, two Women, and an idea! In 2015, Terri Ryburn and Kathi Davis traveled to Minneapolis to see a stage show about a fictional husband and wife singing duo and immediately envisioned it as a film. This presentation includes a viewing of the award-winning short film that they made and their plans for a feature film, co-starring Route 66. Kathi Davis has happy memories of a family vacation from the Midwest to California on Route 66 when she was nine years old. She and her sister cajoled their father into stopping at nearly every roadside attraction along the way. Her interest in the Mother Road was re-kindled after moving to Normal, IL in 2005 and developing a friendship with Dr. Terri Ryburn, a Route 66 devotee and historian. As a former Delta Air Lines flight attendant, Kathi has had her share of adventures. But the film project she and Terri are embarking on is one of the most daring yet. Lack of experience in making films did not deter us from creating a short film that was accepted at five film festivals. Although a feature film presents new challenges, we are confident we will create a memorable film that wil appeal to the world-wide community of Route 66 fans. Terri Ryburn fell in love with the road as a child when her father loaded the truck with her mother, four brothers, and two hunting dogs, and moved to California, for ten years, Terri worked at restoring Sprague’s Super Service, a Route 66 gas station in Normal. The Town of Normal purchased the building in 2016 and will finish the restoration and maintain the iconic building as an historic Route 66 site. In August, Terri opened Ryburn Place Gifts and Gab in the building. The shop features local artists and welcomes locals and Route 66 travelers to Normal and beyond. Terri retired from Illinois State University in 2005. She is a writer, actor, business woman, and stand-up comedian who finds humor in everyday life. Always up for a challenge and a storyteller at heart, she is learning the art of filmmaking, along with her best friend, Kathi Davis. the project combines her love of route 66 with a compelling story. Greg is the Executive Director of the Joliet Area Historical Museum. He was born in Chicago and raised in rural Kankakee. He received his B.A. in History from Illinois State University in 2006 with concentrations in Philosophy and Communications. Greg holds two professional certificate in Artifact Collection Care from the University of Chicago Graham School. He began his Museum career as Curator of Collections at the Kankakee County Museum from 2006-2008, and as the Executive Director of the Mount Prospect Historical Society from 2008-2013, where he served on the Board of the Mount Prospect Downtown Merchants Association. Greg currently serves on the Board of Directors of the Heritage Corridor Convention & Visitors Bureau and Cornerstone Services, Inc. Additionally, he serves as an ex-officio Historic Preservation Commissioner for the City of Joliet. Peerbolte is the author of the book “Randhurst; Suburban Chicago’s Grandest Shopping Center” published by The History Press (2011) which was featured in the New York Times, on C-Span Book TV and Chicago Public Radio. He has lectured at the Chicago Architecture Foundation, where his work was the pilot program for the Foundation’s web-based initiatives, and the University of St. Francis on the topics of architecture and historic preservation. Peerbolte is the co-author of “Greetings from Joliet: A Picture Postcard Look at Old Joliet” with Jim Ridings (2015) and is the Executive Producer of the documentary film “Eight Minutes in August: The Plainfield Tornado of 1990” (2016), which was featured on WGN-TV and presented at Meteorologist Tom Skilling’s Tornado and Severe Weather Seminar at Fermilab National Laboratory in April, 2016. Currently Peerbolte is producing a true crime podcast entitled “The Spectator: Who Killed Molly Zelko?” in conjunction with the Joliet Public Library. Greg and his wife Lauren reside in Channahon, Illinois with their three rescue cats. In his spare time, he plays guitar and is a member of four musical groups. Pam Owens currently holds the position of executive director of the Gaylord Building in Lockport, IL. The Gaylord Building, a site owned and operated by the National Trust for Historic Preservation, played a vital role in one of the great enterprises of the 19th century; the Illinois & Michigan Canal. Prior to accepting this position, Ms. Owens was the Executive Director of Joliet City Center Partnership, LLC, a collaborative effort between the City of Joliet, downtown business and property owners, the Will County Center for Economic Development, and other community stakeholders. Ms Owens served as the Director of the Moline Main Street Program, a municipal Main Street Program housed within the City of Moline’s Planning & Economic Development Department. She received certification in business district executive management from Rutgers University and professional community and economic development certification from the Midwest Community Development Institute. 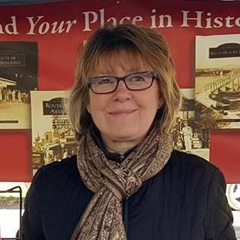 Pam serves on the northern Illinois Tourism council board of directors and the Joliet Area Historical Museum board of directors, She and her husband have four children. 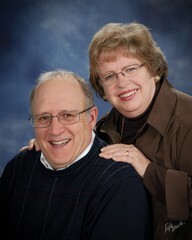 They reside in Plainfield, IL along with their youngest daughter and a standard poodle. Dr.Nick Gerlich is Hickman Professor of Marketing at West Texas A&M University, where he has taught since 1989. His teaching and research emphases are Evolutionary Marketing and social media. He has traveled every inch of Route 66 more times than he can remember, and can usually be found somewhere on the Mother Road combining his passion of old roads, bicycling, hiking and photography. He is currently researching and writing two books on Route 66, one looking back to the Route 66 in the 1950’s, the other on historic signage of the many businesses lining the road. “Unoccupied Route 66 Presents,” with host Nick Gerlich which features a select few of the isolated and forgotten places along Historic Route 66. Far from tourism promotion, the films explore areas rich with history and memories that appeal to the Route 66 traveler that wish to dig deep within the famous two-lane highways history and nostalgia. Drawing on his 36 year experience of documenting and researching Route 66, noted Route 66 author, artist and historian Jerry McClanahan will discuss the many changes, both good and bad, that he has observed along the Mother Road during that time, with emphasis on the route’s positive future. Jerry has been mapping Route 66 since his family vacations during the 1960s, when he sat in the back seat of the family Ford, trying to draw his own crude map of the road. Born in Oklahoma in 1957, Jerry’s family moved out to sunny Southern California in 1959. There following a decade of wonderful journeys down the Mother Road, from California thru Oklahoma City. These back seat travels left an indelible mark. Jerry rediscovered Route 66 in 1981 on a photo expedition from Texas to California. Since then, he has traveled the entire route extensively, mapping, photographing and collecting information. Jerry has shared his findings through dozens of magazine articles, as well as in the Route 66 Map Series and EZ 66 Guide. Jerry’s photographs have appeared in numerous books and periodicals, while his commissioned paintings of old cars on Route 66 hang in private collections across the country and overseas. In 2008, Jerry moved to Chandler, Oklahoma, where he welcomes visitors to his art gallery, just a stone’s throw off Route 66. Jerry has recently partnered in marriage, and all things Route 66, with prolific Mother Road blogger Mariko Kusakabe of Japan, proving this is truly an international highway. Almost 20 years ago New Jersey teacher Anthony Arno had his students bicycle 2000 miles aboard an exercise bicycle in the back of his classroom while learning all about Route 66. Today, Arno hosts The Route 66 Podcast, www.Route66podcast.com, an online program highlighting people living and working along Route 66. Past guests and topics include Michael Wallis, Angel Delgadillo, Joe Loesch, the Coral Court Motel, American Giants, Burma Shave, and POW Camps to name just a few, Arno will discuss the popularity of podcasting and include highlights from past shows featuring many route 66 icons, past and present.